The victory kept Rowan unbeaten at home and up two games in the conference. 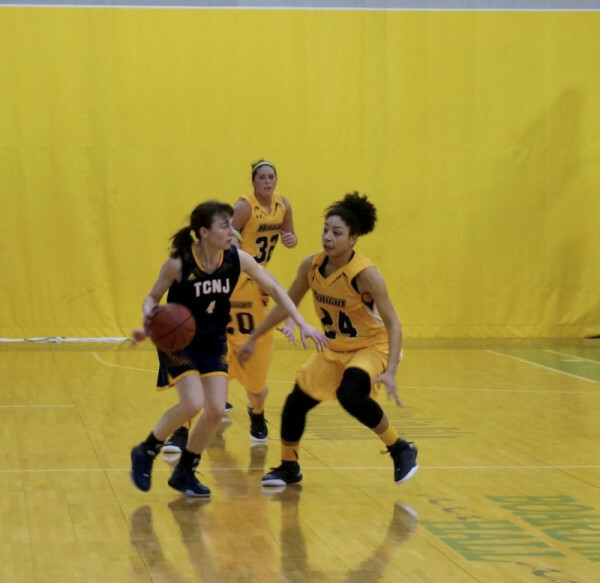 The Rowan woman’s basketball team had yet to lose at home entering a Wednesday night matchup versus The College of New Jersey. That fact would not change by the final buzzer. Guided by a high-energy press defense and a punishing game in the paint, Rowan coasted to an 87-66 victory over New Jersey Athletic Conference rival TCNJ. 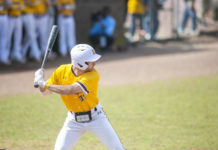 The brown and gold picked up their fourth-straight win in sweeping the season series with the Lions. Rowan (13-1, 19-2 overall) was able to break the game open with a 28-point first quarter. The Profs proceeded to shoot 53 percent (22-41) from the floor. At the half, the team led 57-27 over the Lions, which had 17 turnovers. Scoring dropped for Rowan in the second frame allowing TCNJ to mount a small comeback behind 6-of-14 three-point shooting. The Lions outscored the Profs 39-30 over the final 24 minutes but were doomed by the huge deficit early. Rowan finished the game with an impressive 20 total steals, just two shy of its season best. 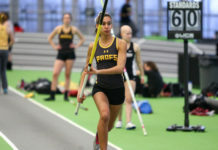 With four games to go, the Profs hold a two-game advantage over Stockton and Montclair State in the conference.